Preheat oven to 350° F. Grease a muffin pan lightly with olive oil. In a small bowl, whisk together flour, salt and baking soda. In a large bowl whisk eggs well, then whisk in coconut oil, honey, bananas and vanilla. Whisk in dry ingredients. Stir in walnuts, reserving a few to sprinkle on top. 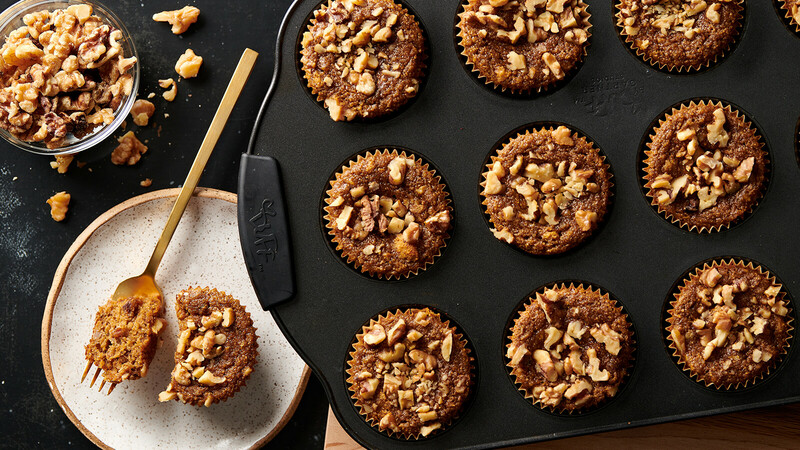 Pour batter into muffin pan and top with remaining nuts. Bake for 20 minutes. Cool and enjoy!